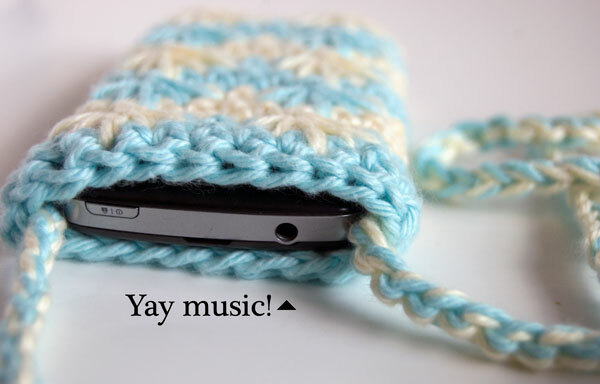 Earlier this month I got a request on the moogly facebook page for “a pattern for a bag with a strap to hold my new phone, so I can be hands free and listen to music while doing chores.” Well, how can I say no to a fan? 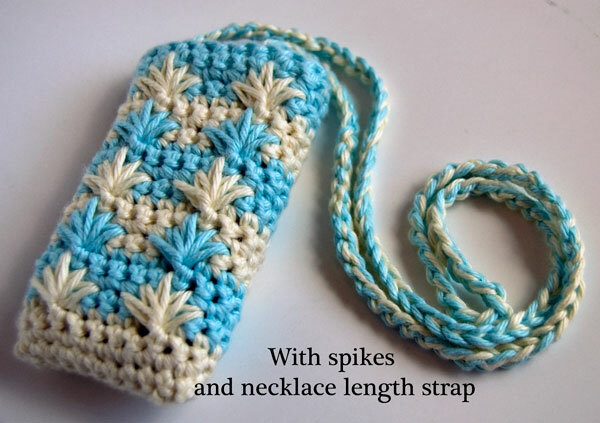 The Blue Agave Phone Pouch is really several patterns in one – you can make it with the spiky “agave” plant design or without; with a long strap to wear it as a necklace, or with a short strap to wear it as a wristlet; or leave off the strap altogether and call it a phone cozy! It’s sized to fit both my Android and my friend’s iPhone (and probably most smartphones, but you’ll have to check yours as you go). I didn’t add a closure to mine, but a simple chain loop opposite a button would do the trick if you like extra security. Turning after each row is important to keep the seam running straight up the side and to line up the spike clusters. If you don’t mind a slanted seam and aren’t using the cluster stitches, then you can skip the turns and just work sc across for each row. 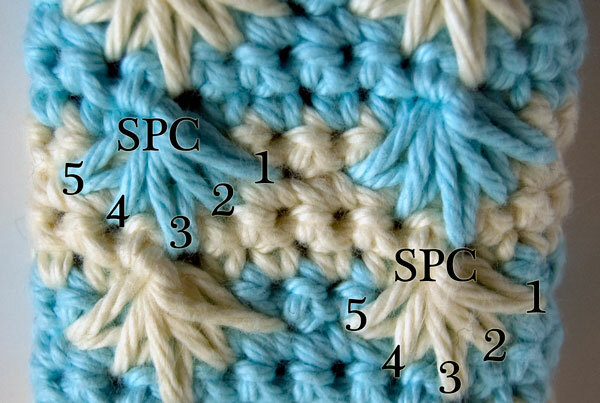 SPC (Spike Cluster) – To work an SPC, pick up 5 loops and bring them to the height of the current row by inserting the hook as follows: 1) 2 sts to the right of the current stitch and 1 row down; 2) 1 st to the right and 2 rows down; 3) directly below and 3 rows down; 4) 1 st to the left and 2 rows down; 5) 2 sts to the left and 1 row down (yo and pull up a loop in each location, 6 loops on hook). Next, insert hook into the top of the current stitch itself, yo and pull through (7 loops on hook), yo again and carefully pull through all 7 loops. Note – All odd numbered rows are RS, even numbered rows are WS. Break yarn, leaving a 12″ tail. Turn case to WS and use tail to whip stitch the end closed. Weave in ends. Turn case back to RS. 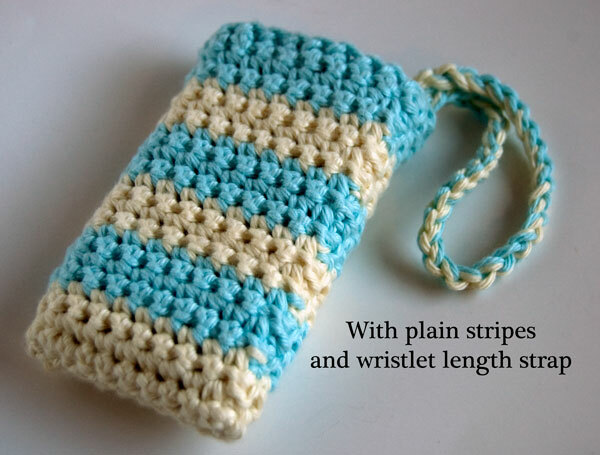 If you just want a phone cozy, you’re done, otherwise, continue with handle instructions below. Holding Color A and Color B together, leave a 12 inch tail and make a slip knot. Ch to desired length. For a wristlet, I recommend about 9 or 10 inches, for a necklace length I’d recommend at least 30 inches, but either way, try it on as you go. Leaving another 12 inch tail on the end, break yarn and finish off. 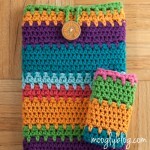 For the wristlet, sew both ends of the chain to one side of the pouch. For the necklace version, sew one end to each side. Add button and loop if desired. Do you listen to music or podcasts on your phone? I think I’ll listen to a lot more now that I have this pouch. And a big thank you to Lisa from Richmond for the idea and inspiration! Hi Tamara…. working on my bag and wondered – as I’m working around the circle, when i meet the other stitch do I slip stitch into the first then chain one and turn? Also, might you consider one of your awesome tutorial videos for the spike cluster? 😀 Having fun playing with the pattern though.. love learning new stitches. THanks again! Sweet! Happy to be a tester anytime 🙂 Thanks again… I used my “first attempt” today when I mowed the lawn.. worked great!! Hi. I wondered how the messenger bag variation worked for you. I was thinking of trying the same. I can just see me bending over to pick up my toddler and knocking her in the head with my Samsung Note 4, if I were to use a necklace variation. LoL! Thanks for all replies and great work on the beautiful pattern. Hello! I’m getting ready to begin this project (very excited!) and I’m not sure what you mean but this instruction “Row 2-4: Ch1 and turn.”. I’m very new to crochet. I’ve ch1 but not sure what I’m doing to turn. Help? Thank you! Renee, turn means to flip the work over so you’re looking at the opposite side – like a pancake. Hope that helps! Hello. 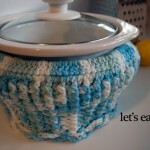 Looking forward to doing this pattern but I’d like to do with just stripes. To do that do I do all instructions just leave out SPC? Yes, just crochet straight across. 😀 I hope you enjoy it! 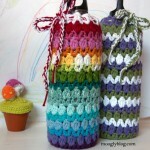 How about crocheting an iCord for the handle? That would be great! 😀 Or use a pretty ribbon, or whatever you like. Hi Chayla! I wrote this pattern a few years ago, before tablet-style phones came into popularity, so I imagine you’ll have to add quite a few stitches to make it fit the newer phones. thanks for your tutorial!! 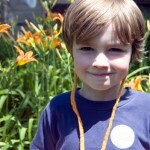 I post on my blog what I did with it, and put a link back to your page! I love this! How can I make it a little bigger my phone is bigger than the one in the picture. Hi RegiK! 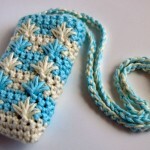 This pattern was from before cell phones started getting so big again! 🙂 To make it bigger, add however many stitches are needed to get all the way around the phone, and then space the spike stitches out accordingly. It’ll take some experimentation – phones come in so many different sizes now! Thank you so much for this pattern. 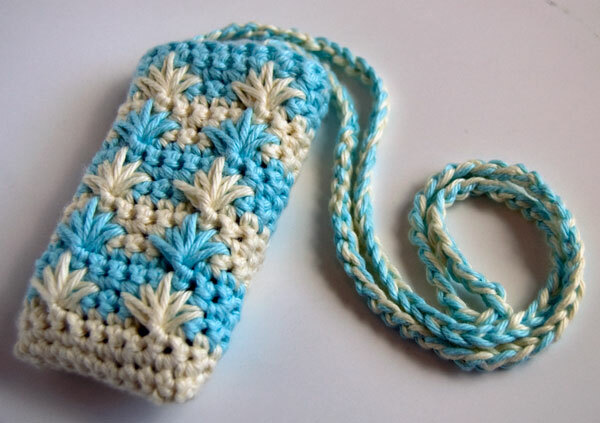 I made this phone pouch last weekend. It is perfect for my son’s soccer games where I don’t want to take my purse but I want to have my phone with me. 😀 I’m so glad you enjoyed it! I am having some difficulty with the first row with the star stitch, it seems that it is on the wrong side of the pouch, what am I doing wrong? Are you perhaps holding the pouch inside out? It’s hard to say without being there. Rounds is correct. The spikes are pretty close to reversible though – as long as you’re still stitching in the right direction you should be okay.